Ding wins the match against Topalov, breaks 2800. 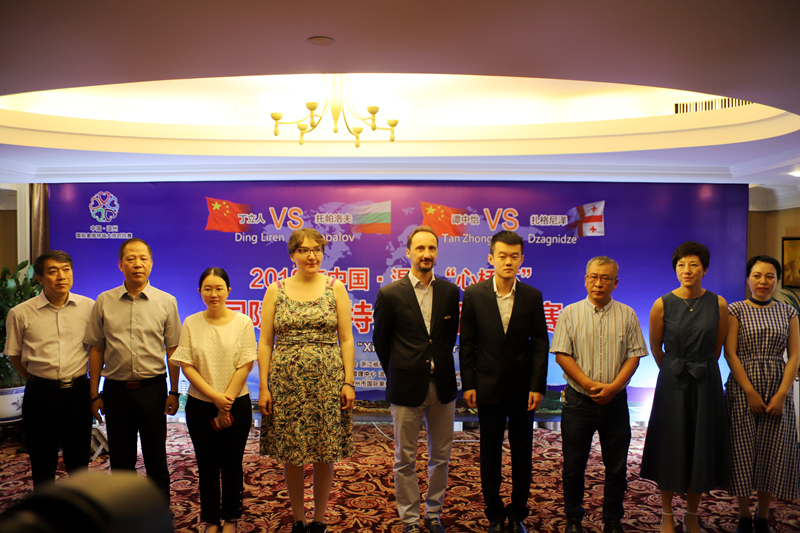 On the morning of August 15th, the “Heart Bridge Cup” China·Wenzhou Chess Grand Master Contest Closing Ceremony was held in Wenzhou Huaqiao Hotel. In yesterday’s decisive round, Ding Liren defeated Bulgarian top player Topalov and won the men’s victory in this match with a total score of 3:1. This is the first time Ding crosses the 2800 barier. His run is already more then one year since he lost competitive classical game. In the womens match Tan Zhongyi defeated Georgian Dzagnidze and won the championship with a 3:1 record.